1 LED glow ice bucket. Perfect for that 'chilled' evening at home or that special celebration. 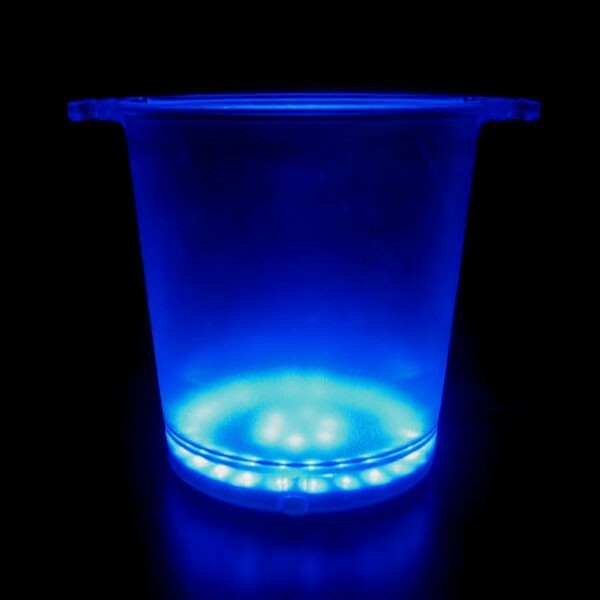 The bucket's on/off button is located at the bottom of the bucket. Requires 4 x AA Batteries (Not supplied). 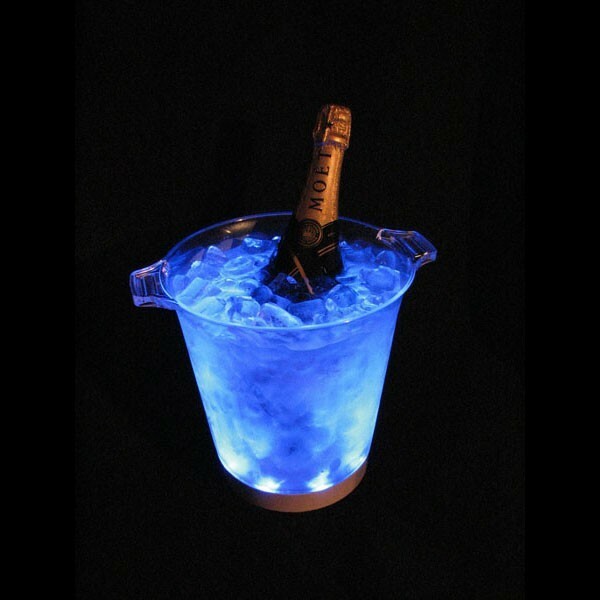 The Frosted Blue Champagne Ice Bucket is a high quality ice bucket made from blue frosted plastic and features nine bright blue LED's. When activated the blue LED's shine and glisten through the ice, creating a stunning visual effect. 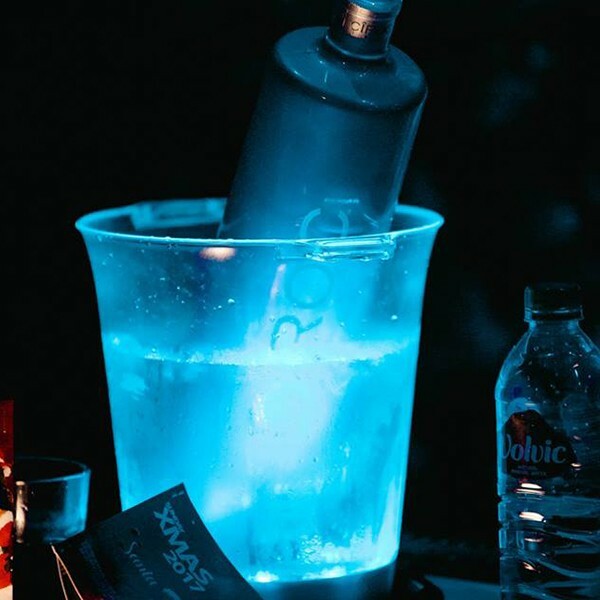 The product is perfect for indoor and outdoor use and will create an instant impression amongst your guests and punters alike. The buckets are Ideal for both small private celebrations and large established bars and clubs.